I'll eagerly admit that I'm a huge fan of coneflowers. I love the color and height they bring to a landscape, especially if you tend to enjoy a cottage style landscape. And they're an all season flower, too. If you leave them uncut during the winter, you'll give those birds a nice little snack to discover during those oh so cold months. 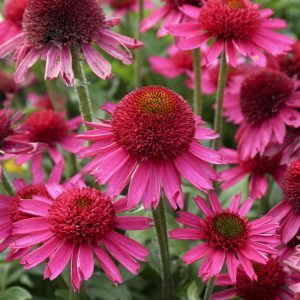 I always try to think about the animals when I'm selecting plants for my gardens, and coneflower bring wildlife to your garden all year long. 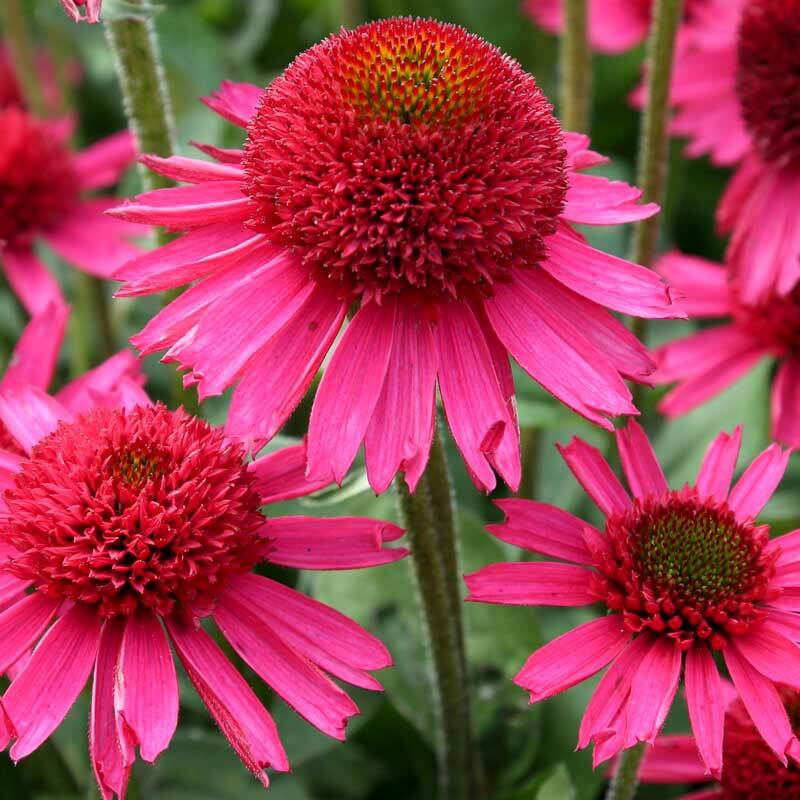 Delicious Candy Coneflower is a lovely summer bloomer that produces large, semi-double, fuchsia pink flowers on a compact plant with deep green. It bloom,s earlier than most coneflowers and will bloom continuously for many months when faded flowers are removed. It's a lovely addition in your cottage style beds, as a border and even in containers. I’ll eagerly admit that I’m a huge fan of coneflowers. I love the color and height they bring to a landscape, especially if you tend to enjoy a cottage style landscape. And they’re an all season flower, too. If you leave them uncut during the winter, you’ll give those birds a nice little snack to discover during those oh so cold months. I always try to think about the animals when I’m selecting plants for my gardens, and coneflower bring wildlife to your garden all year long. 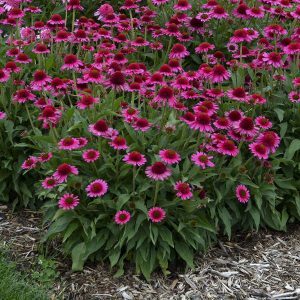 Delicious Candy Coneflower is a lovely summer bloomer that produces large, semi-double, fuchsia pink flowers on a compact plant with deep green. It bloom,s earlier than most coneflowers and will bloom continuously for many months when faded flowers are removed. It’s a lovely addition in your cottage style beds, as a border and even in containers.